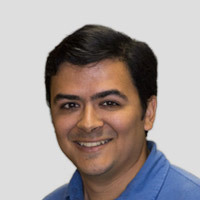 Andrew Chavez is a journalist and Web developer at The Dallas Morning News. Before joining The News in January 2016, Andrew was a news applications developer at the Austin American-Statesman. At the Statesman, he built interactive and special presentations for stories, assisted reporters with data-heavy reporting projects and was the developer for the Statesman's Longhorns sports website, Hook'Em.com. Prior to joining the Statesman in September 2014, Andrew was the director of digital media at the TCU School of Journalism. Also at TCU, Andrew was the associate director of the Texas Center for Community Journalism, a center that provides professional development for Texas community journalists. Along with a TCU colleague, he received a grant from the Knight Foundation Prototype Fund in 2014 to develop an open source photo-streaming tool for newsroom photographers. That project, Photostreamer, is still under development. Andrew has a B.A. and M.S. in news-editorial journalism from Texas Christian University.